I-View Now’s genuine cloud architecture and Software as a Service (SaaS) model means there is no additional software or hardware to purchase at the edge, in the monitoring center, or for the emergency responders. Unifying these technologies and constituencies results in fewer false alarms, faster response times, and safer communities. 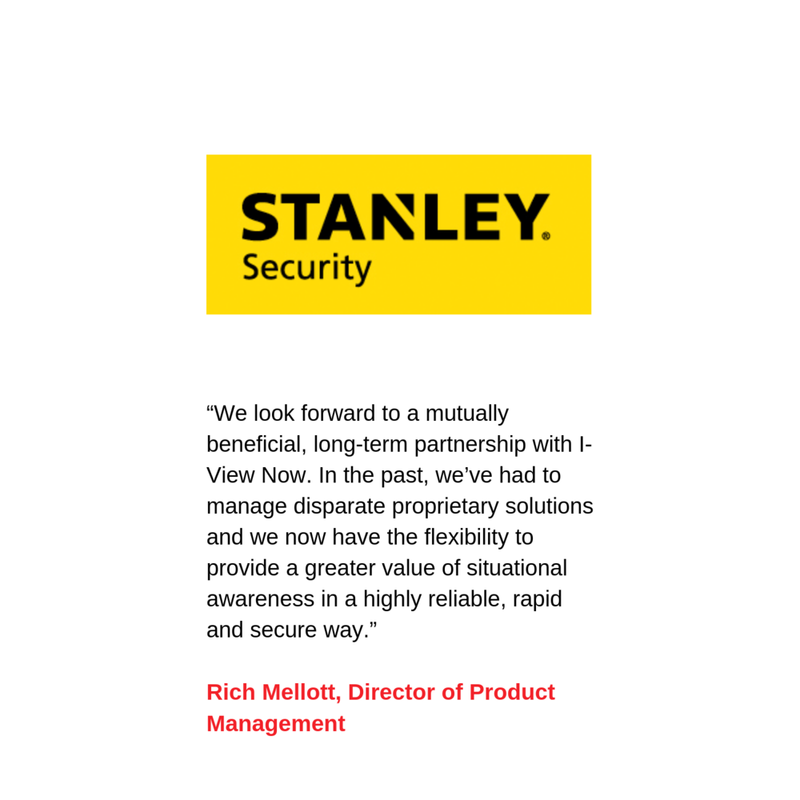 We founded I-View Now in 2011 to unite traditional security systems (alarms), industry video sources, and central station software platforms to facilitate the determination if there was a crime in progress at a protected premises. We used the cloud to bring these different sources and users into a unified platform. We were IoT by accident. Today, I-View Now brings traditional and non-traditional signaling sources, local and cloud video sources, all leading central station software platforms, and other non-traditional IoT services into our cloud architecture with the ongoing mission of causing a priority police response and to lower false alarms. I-View Now is more than a patented and award-winning monitoring station video and signaling interface. We help security dealers compete in a quickly changing market. At I-View Now we help security dealers go to market with central station video services by working with them to define markets, assemblies, creation costs, end user pricing, operator training, installer training, and sales training. When the security dealer is successful I-View Now is successful. I-View Now is partnered with and integrated to all nine (9) of the leading monitoring software platforms that serve North America. Each one is proprietary and unique. Our integrations allow thousands of security providers across the country to send traditional signals, non-traditional signals, and video to be processed by professional operators. The I-View Now's cloud architecture allows our platform to connect to traditional and nontraditional signal sources without the need for a relay. 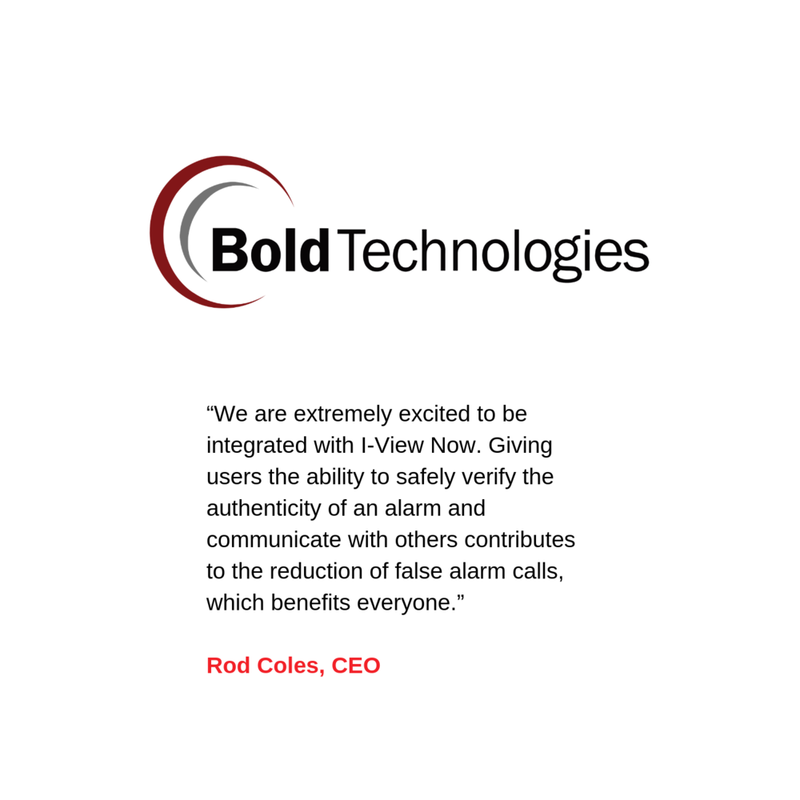 These integrations insure that all of our integrations meet or exceed The Monitoring Association's ANSI/CSAA CS-V-01-2016 - Alarm Confirmation, Verification and Notification Procedures standard. Critical elements include: entry delay, health monitoring, end user alarm cancelation, and more. 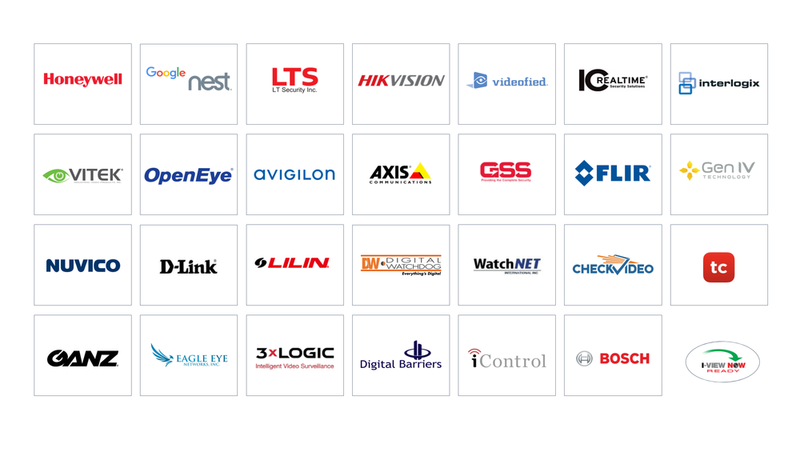 I-View Now is integrated and partnered with the leading video devices and services. An integration with I-View Now connects video products to all nine (9) of the leading monitoring platforms serving North America. All of our integrations meet or exceed The Monitoring Association’s ANSI/CS-V-01 standard for video verification. These integrations include video device health monitoring, video verification, and video guard tours. Video is a critical element in intelligent monitoring and I-View Now connects video to end users, monitoring centers, and first responders.